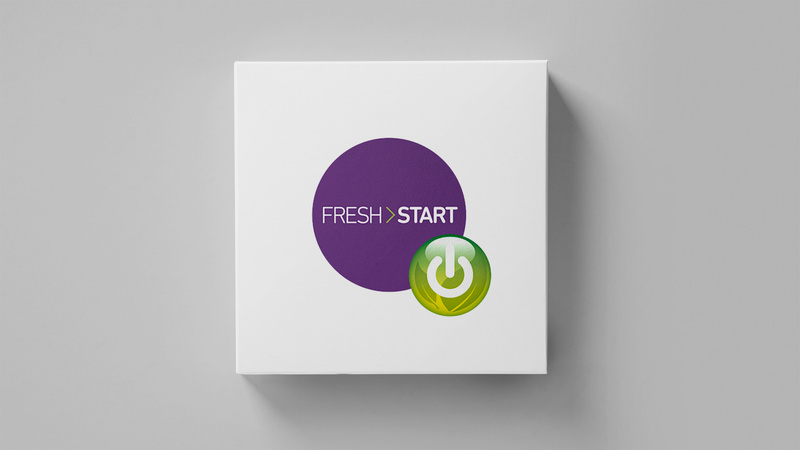 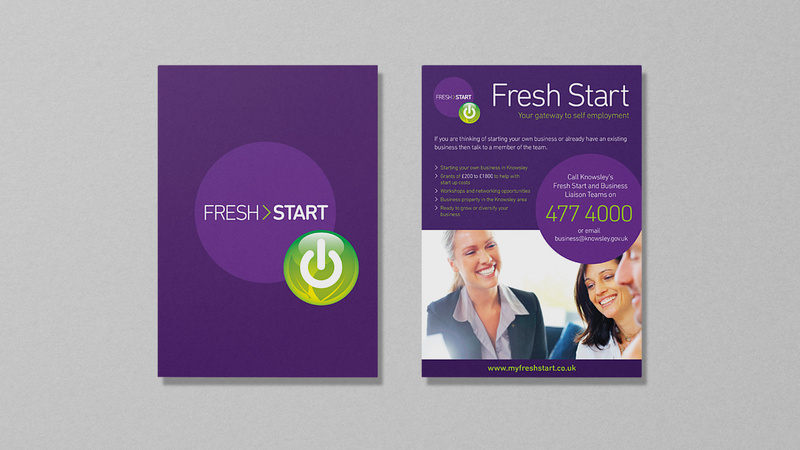 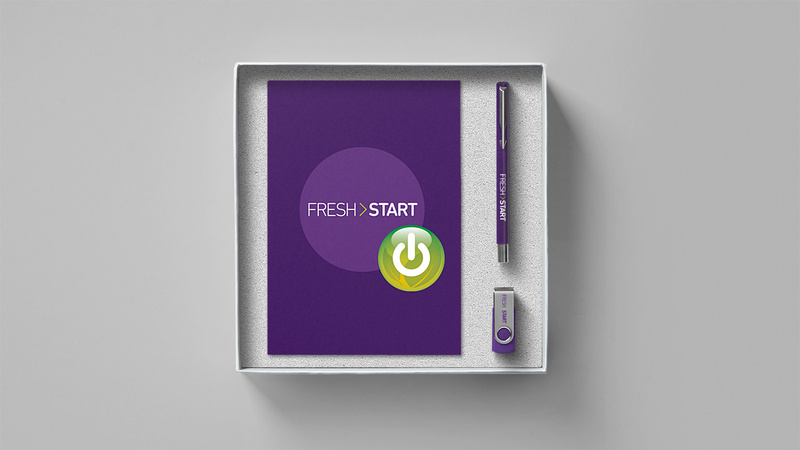 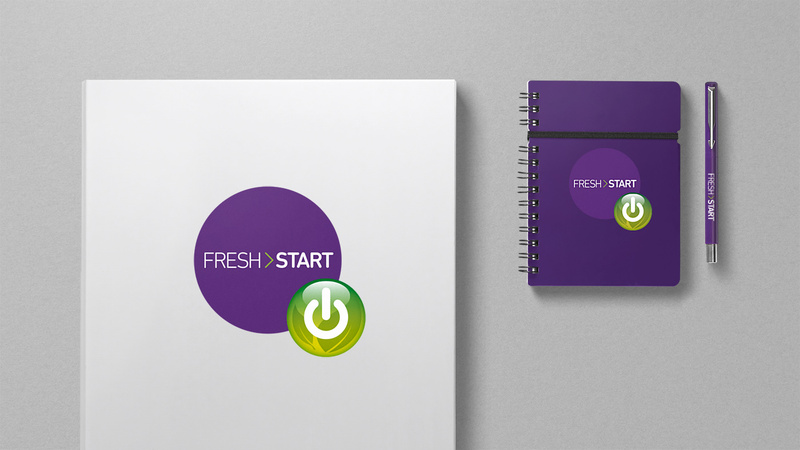 By 2011 OC&S had gained a large amount of public sector branding experience working with the local council and partner organisations and was approached by Fresh Start to create a new brand identity. 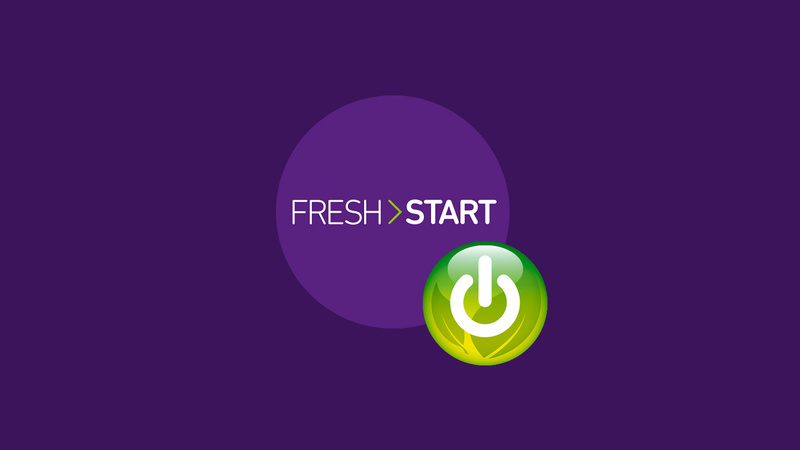 Fresh Start is a local council-led self employment gateway scheme which became effective in 2011 following government incentive for young entrepreneurs to establish themselves as business people, post recession. 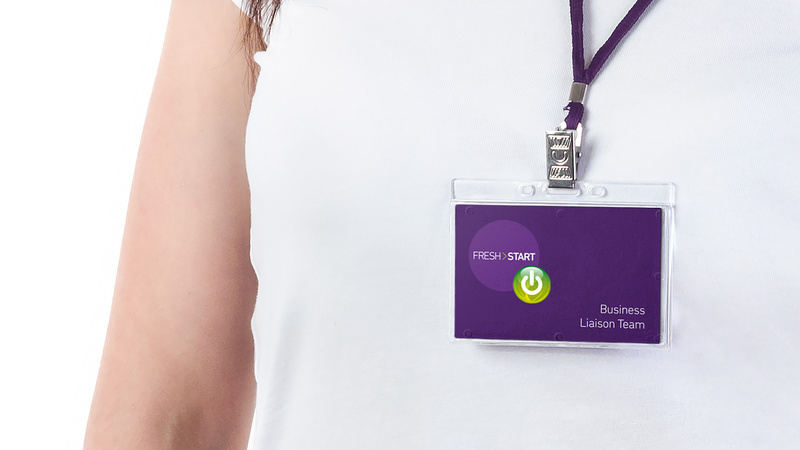 Working closely with Knowsley Metropolitan Borough Council we created a brand identity which appealed to young people with entrepreneurial spirit and strong aspirations to run successful businesses. 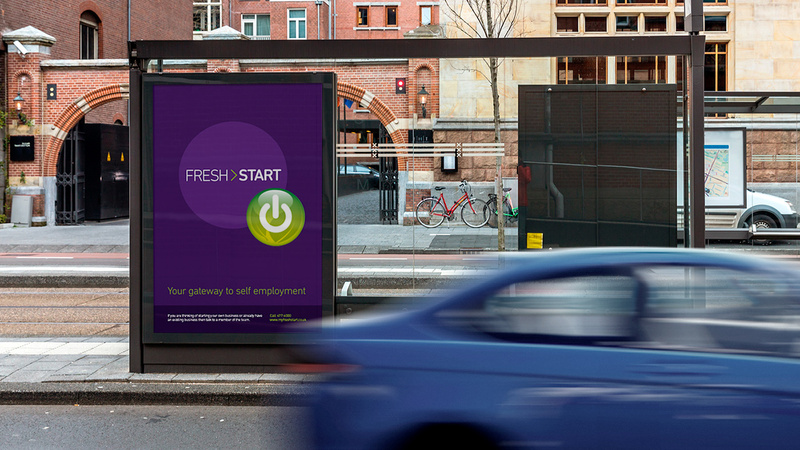 The aim of the scheme is to empower such candidates, installing confidence to succeed with aid of business growth support, funding and property.